So, enough with the death threats and the Wikipedia vandalism and everything in between. If, in the clear light of the next day, you're actively demonizing Jim Joyce, you've got far bigger problems than being deprived of a perfect game. Find a free clinic. Get some help. Upon reflection, my feelings on the matter can be summed up in the quote at the very top of this post, taken from a letter James Joyce once wrote. Listening to sports radio all day today and reading the many articles about this incident, there are many people who've made the point that Armando Galarraga's almost perfect game will be more famous and well-remembered because of the blown call than it would have been if it were just another (yes, another, the third this season) perfect game. And I think the most important message to take out of this is the grace, sympathy and compassion shown by Galarraga, the sole "victim" of Joyce's terrible mistake. After all, a perfect game is never praised as a team accomplishment. It's Galarraga that got screwed over, no one else. At the exact moment Joyce made the call of "safe," ending Galarraga's string of perfection (on the final play, no less) the pitcher did not scream with his eyes bulging like George Brett, he didn't even display any sign of incredulity. Instead: he smiled. That's life. That's humanity. We're imperfect. 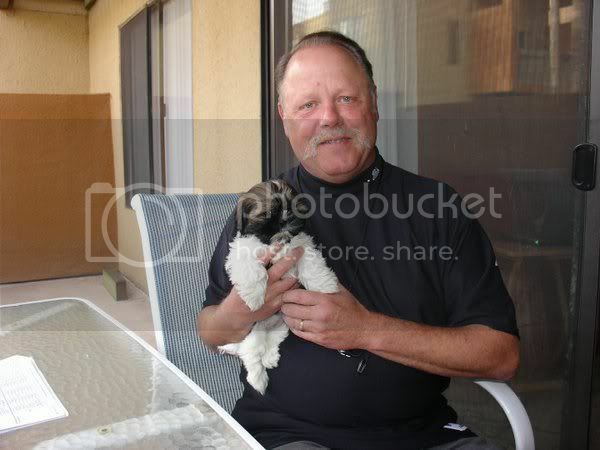 I had goosebumps today when I saw the video of a teary-eyed Jim Joyce, a big burly guy with a handlebar mustache, suffering a frown and weeping uncontrollably in public because of a mistake he'd made (and admitted to), and Galarraga came up and shook his hand in front of everyone. Galarraga never vilified Joyce. He felt his pain: "He felt so bad. He didn't even shower," Galarraga said. "He's human. He made a mistake. He feels terrible. I gave him a hug." Well, you know I'm going to tie in Ulysses here. I have to. -- Her grave is over there, Jack, Mr Dedalus said. I'll soon be stretched beside her. Let Him take me whenever He likes. Breaking down, he began to weep to himself quietly, stumbling a little in his walk. In Ulysses, Stephen Dedalus (a fictionalized version of young James Joyce) has sort of runaway from home and his crazy father. As a (highly intellectual, in fact, brilliant) kid in his early 20s he's become pretty self-centered and has rejected much of the world and society, becoming lonely and confused in the process. His mom recently died and he's severed ties with his physical father. He's brooding about this throughout the first three chapters of the book. It is not until his chance encounter with Leopold Bloom, a father-figure in spirit, that he has a transformation of character and is able to open up and actually have sympathy and compassion for someone. * It happens first in the "Oxen of the Sun" chapter where Bloom reassures and comforts Stephen who is scared shitless by an extremely loud crack of thunder (he, just like James Joyce, has a terrible fear of thunder) and then in the "Circe" chapter Stephen, in an act of reciprocal compassion, steps in when the whores are all taunting and mocking Bloom because his wife is cheating on him. The coming together of Bloom and Stephen is, in fact, the main point of the book. This union of "father" and "son" is not enacted as some sort of overly dramatic tearful hug or anything, though. It's just a symbolic simple act of compassion and sympathy for another human being. 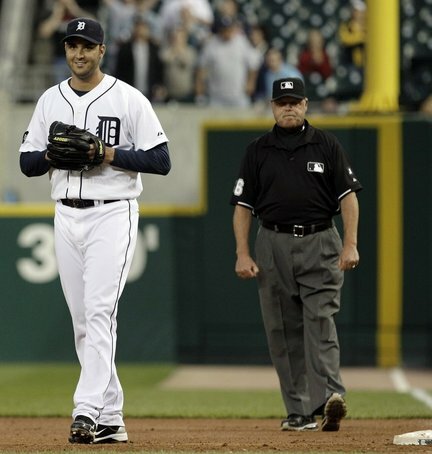 And that is the great lesson to be learned from the grace of the forgiving and understanding Armando Galarraga. Jim Joyce made a big mistake and cost Galarraga a shot at baseball history. He won't go into the record books for throwing a perfect game, but he should be remembered for his heroic display of how human beings should behave towards one another. Especially when someone screws up. *I'd like to note the funny little coincidence I realized about this incident: the moment when Stephen is moved to sympathy and compassion for Bloom, he realizes a connection they share and notes a correspondence they both have between the number 22. It's been mentioned often that the umpire Jim Joyce has been umpiring for 22 years before this historic mistake. Also Ulysses was first published in 1922. This is awesome -- the post I would have attempted to write had I read Ulysses. J.A.J would have relished that little coincidence.